Are you looking for a bra that is friendly to the environment as well as you and your baby? Carriwell have created this white Organic Cotton Nursing Bra, which is not only beautifully soft but also good for the environment. Is this bra practical? The seam-free design of this bra is not only comfortable, it will give you a smooth silhouette, even under tight clothes. It is also cut quite low at the front, allowing you to wear lower cut tops. However, this does mean that it may not be suitable for mums with bigger busts. It has ruched cups and lacy edging, adding a feminine touch. This bra will be a perfect match for the Carriwell Washable Breast Pads. To buy them, or to see this bra in black, please see the links below. This bra is designed to lift and support you gently without underwires, with a wide chest band. 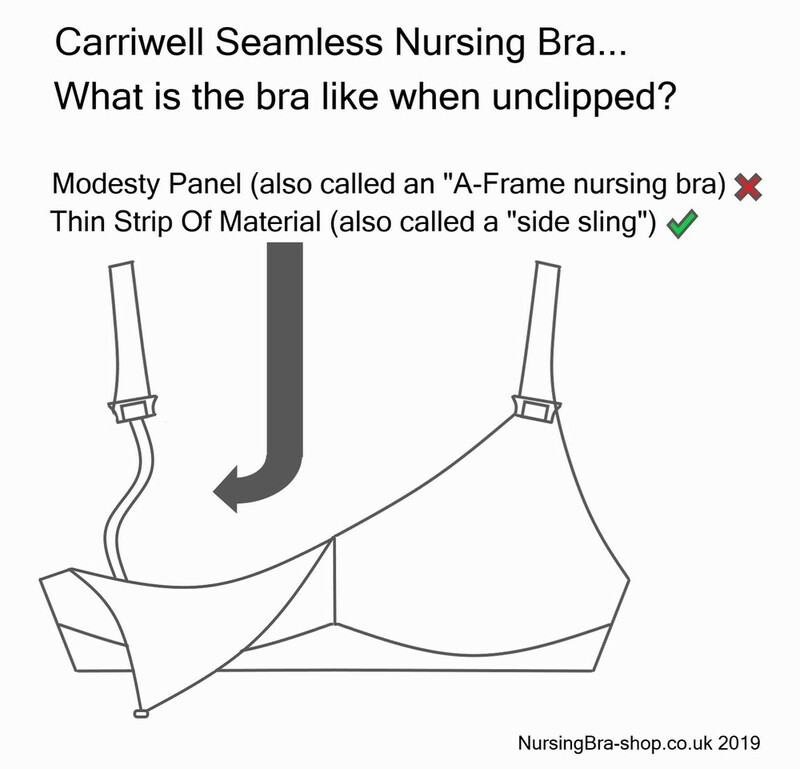 Experts believe that wearing an underwired bra can lead to the development of mastitis, so this may be something you want to consider when choosing your bra. 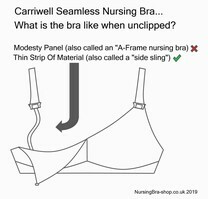 The straps of this bra have one-handed maternity clips to allow you to release the drop down cups easily, exposing the breast when you feed. This skin-to-skin contact is recommended by many healthcare professionals. How comfortable is this bra? This white Organic Cotton Nursing Bra has no seams to rub against and irritate your sensitive skin, and the cotton blend is wonderfully soft. The stretch fabric should mould to fit your changing shape (it can expand by up to two sizes), and is also breathable. This bra is so comfortable, you can even wear it during the night! For extra flexibility, this bra comes with a free hook and eye extender. To keep your bras in the best condition we recommend hand washing them, although this bra is suitable for machine washing at 40 degrees and tumble drying. So why do we like this white Organic Cotton Carriwell bra? Firstly, it is a perfect match for the Carriwell Washable Breast Pads. The organic cotton blend will also be soft against sensitive skin, but the ruched cups and lace detailing mean that this is useful with a feminine twist.